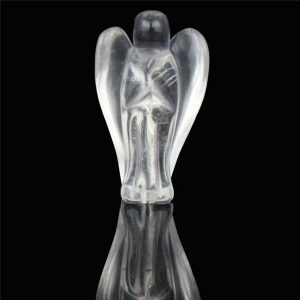 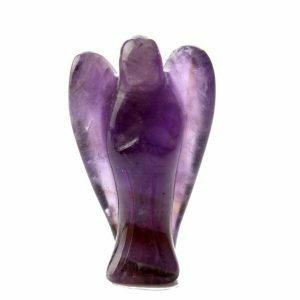 Do you need relaxation and relieve stress at work or during your meditation seance? 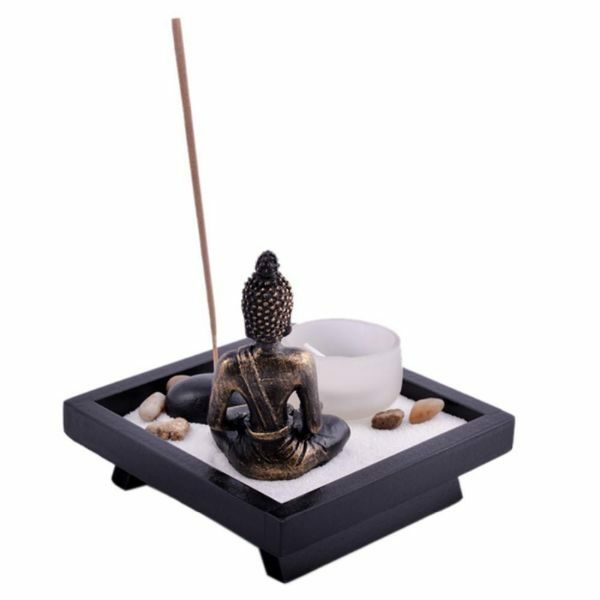 This Decorative Mini Buddha Zen Sand Garden Set is what you need. 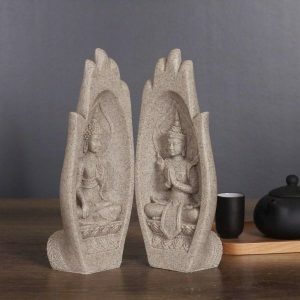 It does not take too much space, perfect for a home in your meditation space or in your office. 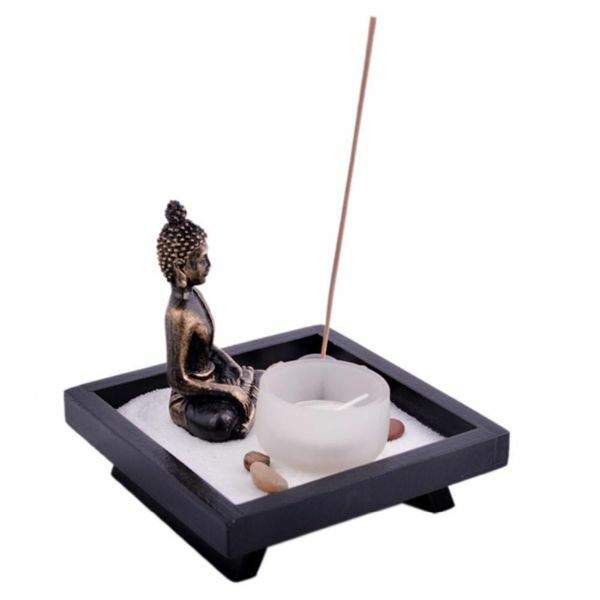 Feng Shui creates peace and harmony in your living space. 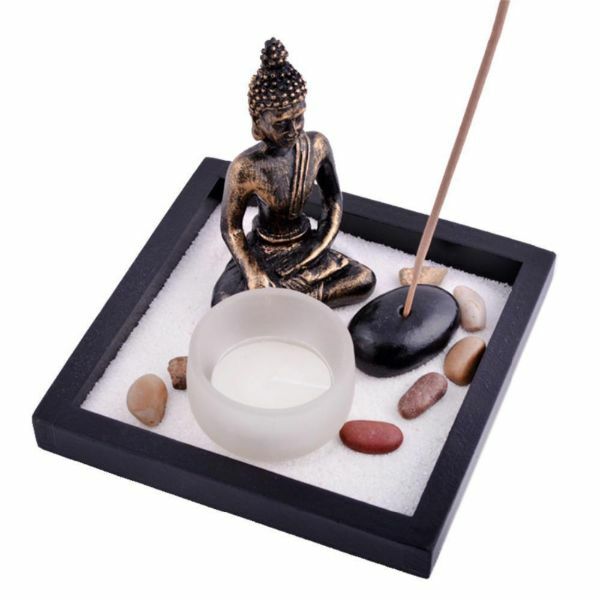 Arrange this personal zen sand garden and bring peace and harmony to your body, spirit, and home. 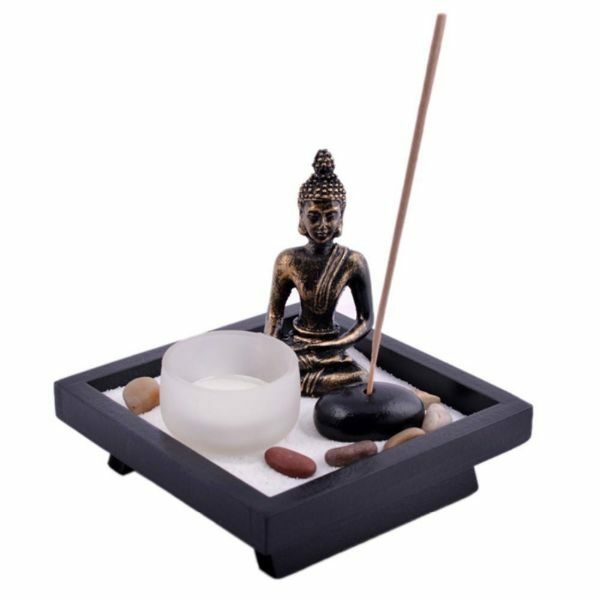 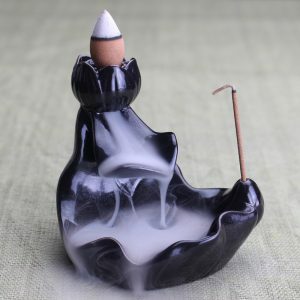 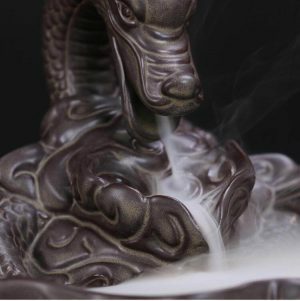 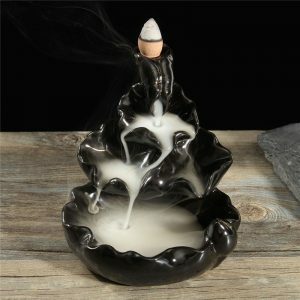 The Set includes a Buddha statue, 1 tea light candle and candle holder, a rock as an incense stick holder, decorative small rocks and sand all in a nice black wooden tray. 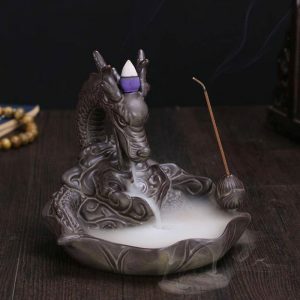 Plus, it arrives with free incense!